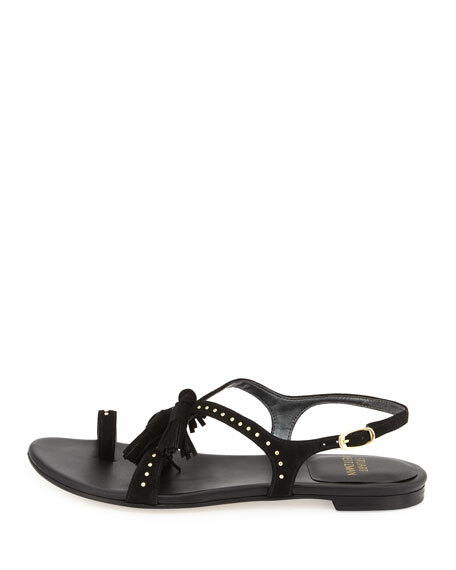 Stuart Weitzman suede sandal with golden studded trim. "Flapagain" is made in Spain. For in-store inquiries, use sku #1645127. 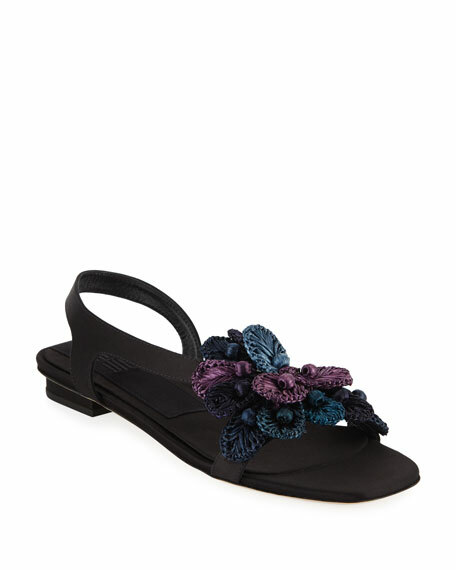 Sanayi313 satin sandals with colorblock flower embroidery. Flat covered heel. Elongated square open toe. Asymmetric vamp. Slip-on style. Padded footbed. Smooth outsole. "Zinnia" is made in Italy.